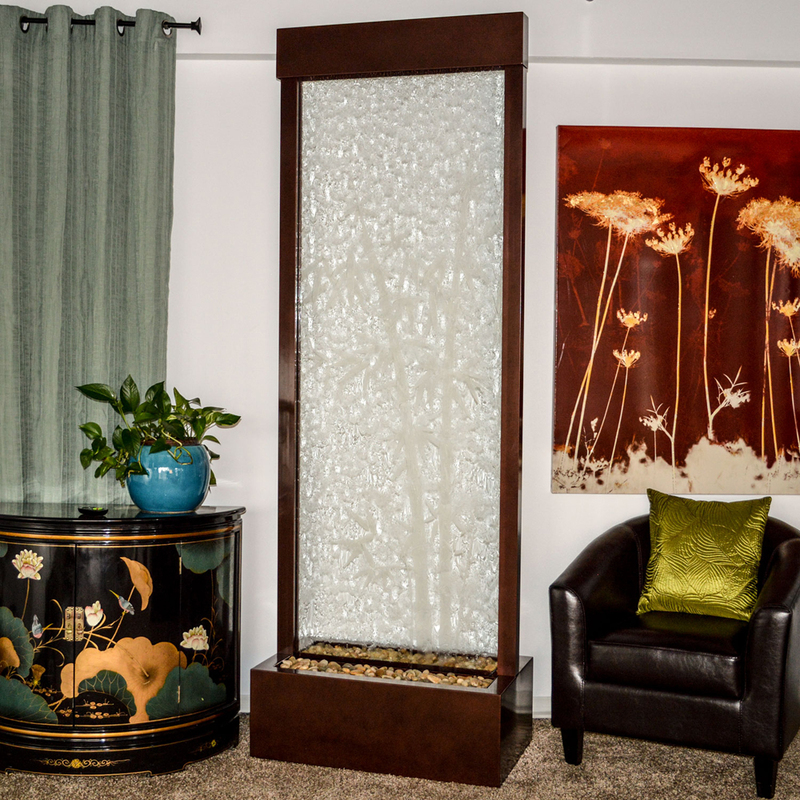 90" Floor fountain with center mount bamboo etched. Enhance your surroundings with the Gardenfall. The water flowing passed polished river rock creates a mood of serenity as it humidifies and cleanses the air, promoting a healthier living environment. Model GF83B features a glass-etched bamboo design and dark copper frame, which makes a stunning focal point in any garden or interior space. Durable materials and quiet operation make the Gardenfall a wonderful addition, indoors or out.